As the rainy season is continuing in this part of world. The surrounding is full with lots of flowers and greenery . 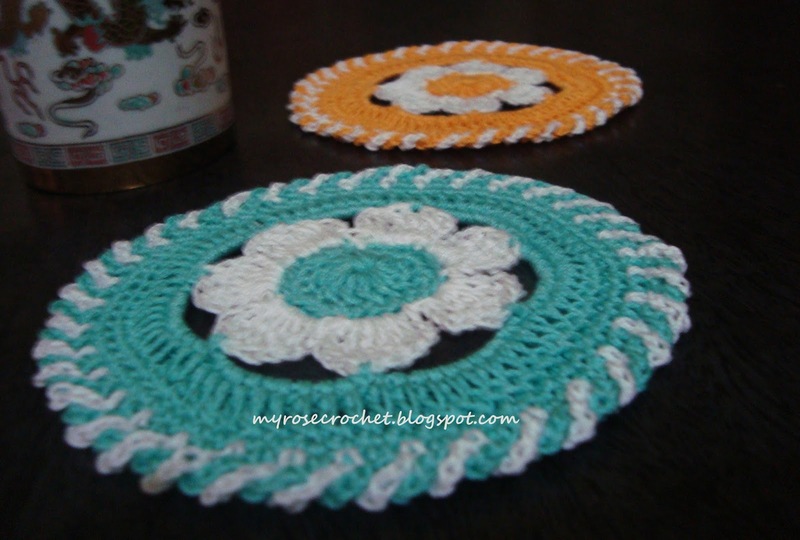 Inspired by those little white flowers I made these coasters for my dining table.Little flowers scattered on the table really look good. I used white and a solid color. Twisted double color edging looks nice. I made this with every color I had in my basket. I used #10(3ply) thread for these coasters. 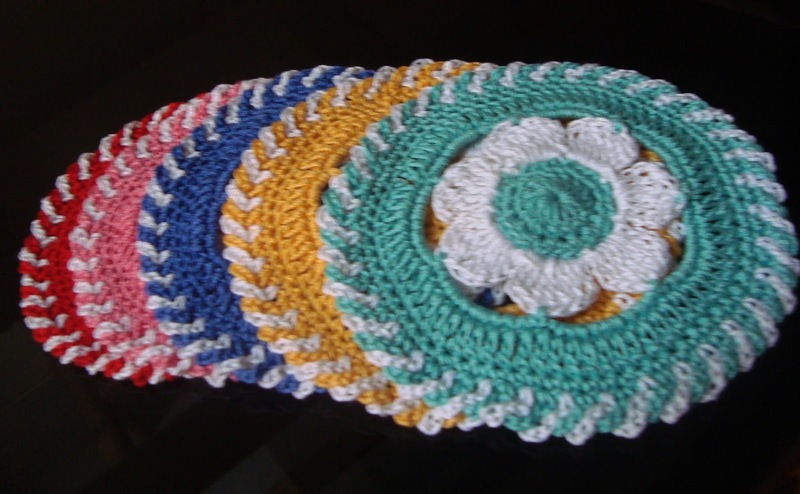 Chain, Double crochet, Treble and Single crochet stitches are used. Pattern written in American Terminology. It includes photos and written instruction for each steps. Ravelry , Craftsy and Etsy . © 2014 - 2018 My Rose Crochet. All Rights Reserved............................................... . Simple theme. Theme images by merrymoonmary. Powered by Blogger.